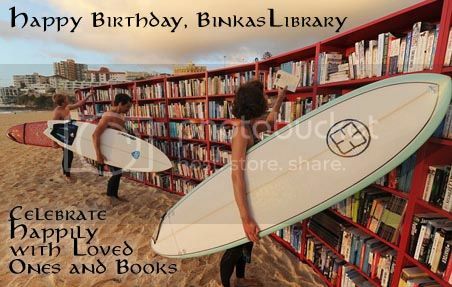 binkaslibrary It's your birthday, and so I'm celebrating because birthdays are spectacular and so special. I chose a wonderful library picture for you to enjoy on your special day. This one blew me away. On Feb. 2, 2010, IKEA set up 30 bookcases on Bondi Beach in Sydney, Australia. I guess it's obvious why they can't be a permanent fixture. But a joy to see the Aussie surfer dudes, perhaps a bit more literate than their American counterparts? So...there you go. Sydney, Australia.